Now, a little complication – to modify this property, you will have to untick it from every applied View Template that would possibly impact the View List. 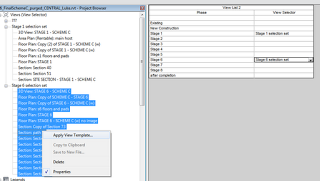 I grouped my Project Browser by View Template so I could quickly see the ‘in-use’ View Templates, then went View – Manage View Templates and unticked View Selector in each of these. 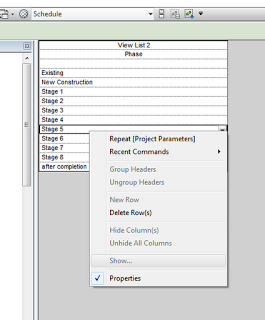 Once this is done, we can now drive the View Selector parameter through the View List schedule. 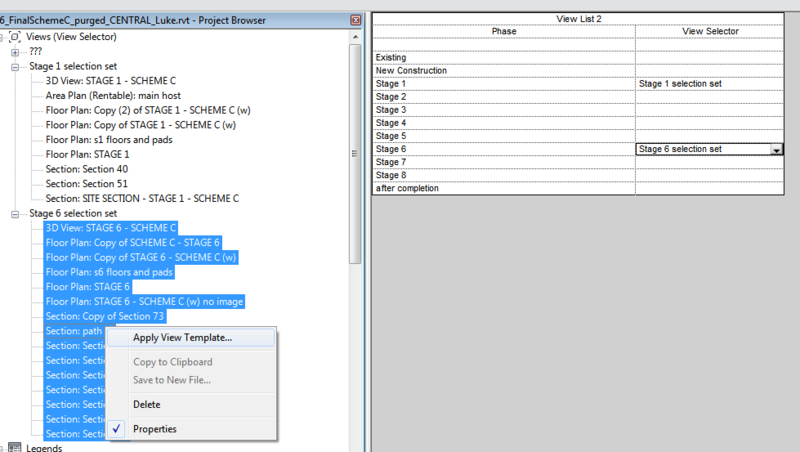 Now go to the Type Properties of the Project Browser and make a new type called View Selector. 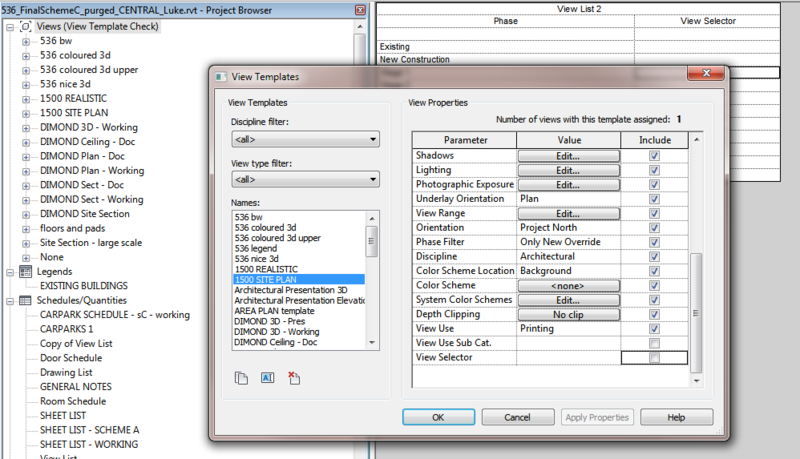 You can either use folders and set them to View Selector, or Filter by View Select = whatever. 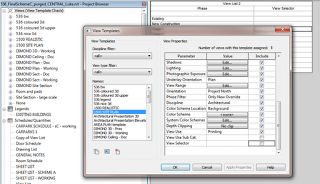 Finally, select a bunch of views in the Browser and then adjust the Property you want to edit. 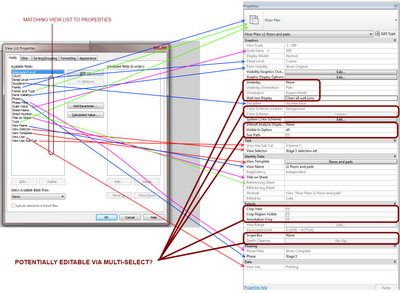 This method allows you to modify certain parameters that you couldn’t get to from the View List itself. 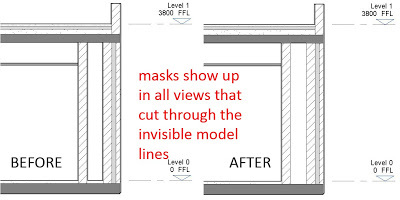 Some of these parameters are View / Type specific (like Underlay for Plans). 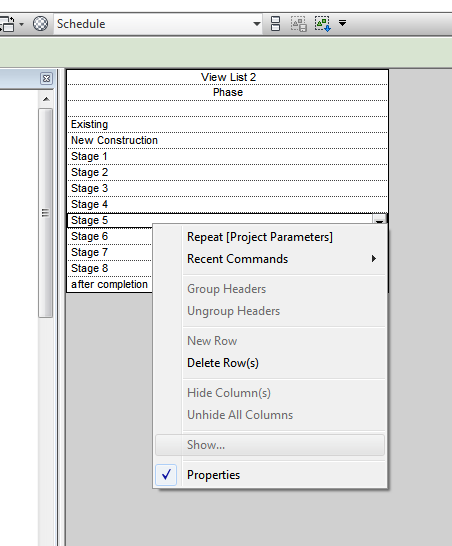 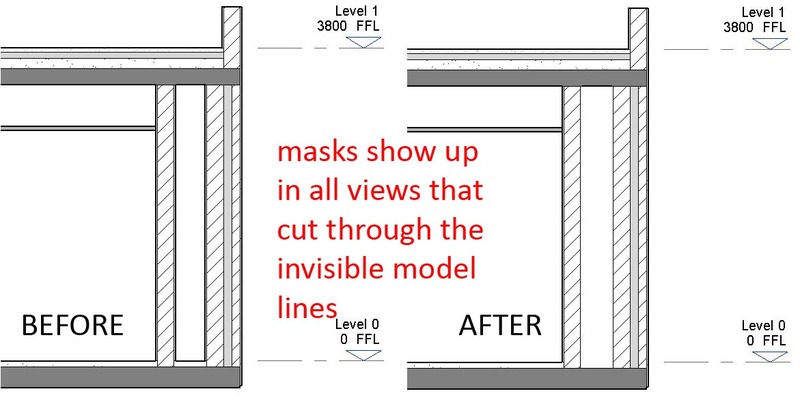 When you multiselect them, Revit will tell you what the ‘common’ parameters are in the Properties Palette.